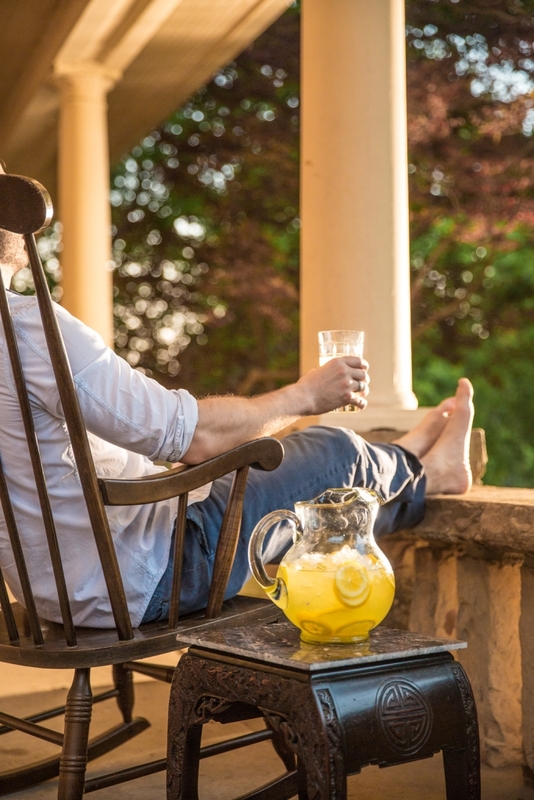 Drinking lemonade on a shaded porch takes you away from the searing reality of July in Oklahoma. The slow, parallel drips almost seem syncopated – one … followed on an off-beat by another. The first droplet is your sweat, formed by the scorching heat of July in Oklahoma. The second, more than likely, is not rain since most of the state averages less than 3 inches this month. But if you’re lucky, that droplet is from the condensation on a pitcher of cold lemonade as you collapse into a chair on a shaded porch. You sip that summertime favorite; the heat dissipates … at least inside of you. After downing several glasses, after dismissing temperatures in the 90s and above, after forgetting about how hot it really is, you become lost in thought (if you’re alone) or in conversation with your friend or loved one. The shadows lengthen. Your pet lounges in the grass. And before long, it’s dusk and the fireflies come out. 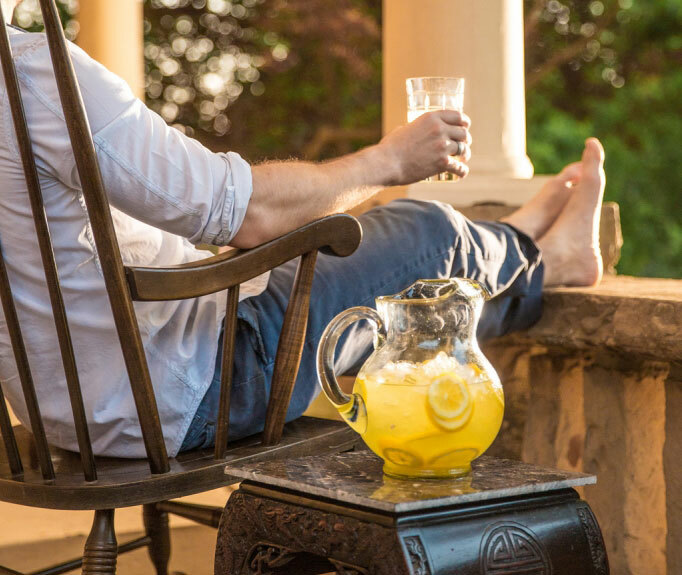 It’s a simple combination – lemonade served on a shaded porch. It’s certainly not magic, but it may as well be.